Day 1: This is ideal if you do not want to travel out of Nairobi. You will visit Nairobi National Park and the Animal orphanage in the morning and have lunch at Carnivore restaurant. In the afternoon you can lounge, swim, go to a beauty parlour for manicure, pedicure and massage or go shopping in town. 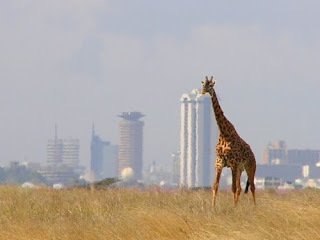 This itinerary is flexible to make you enjoy the great things Nairobi offers in the leisure industry. Dinner and overnight at any of the great Nairobi hotels depending you taste and budget. and dinner and overnight at Nairobi hotels. 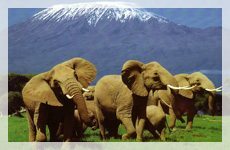 Amboseli National Park is renowned for the big five especially the elephants and lions and spectacular views of Mt. Kilimanjaro. If you want an African safari experience that is inexpensive or those that have very short time for a safari Amboseli is the best choice for you. You spend less time on the road since its shorter to Nairobi and also it gives you the bush experience and game viewing. Please check the full itinerary for this safari at our Amboseli safari page. Lake Nakuru National Park is about 2 hours scenic drive from Nairobi with great views on the Rift valley. The park is renowned very shallow alkaline lake with the huge crowds of flamingos. The park has about 56 different species of mammals including white rhinos, water bucks, leopards, lions and buffalos. Day 1: Depart Nairobi early in the morning to arrive in Nakuru National park for a mid morning game drive. Lunch break and lounging . Evening game drive and dinner with overnight at the lodge. Day 2: Morning game drive, leisure tours and lunch. Depart for Nairobi in the afternoon. You can contact us for a Easter weekend getaway or general inquiries on Africa safaris. The Uganda safari east Africa safari trip that really wonderful joy of trips. My friends are view to this location and begin joy form here! I like this sharing information.